Product categories of Razor Wire, we are specialized manufacturers from China, Razor Wire, Galvanized Barbed Wire suppliers/factory, wholesale high-quality products of Sharp Razor Wire R & D and manufacturing, we have the perfect after-sales service and technical support. Look forward to your cooperation! Razor Wire also called concertina Barbed Wire it is installed without clips; it runs in natural loops on walls or fencing. 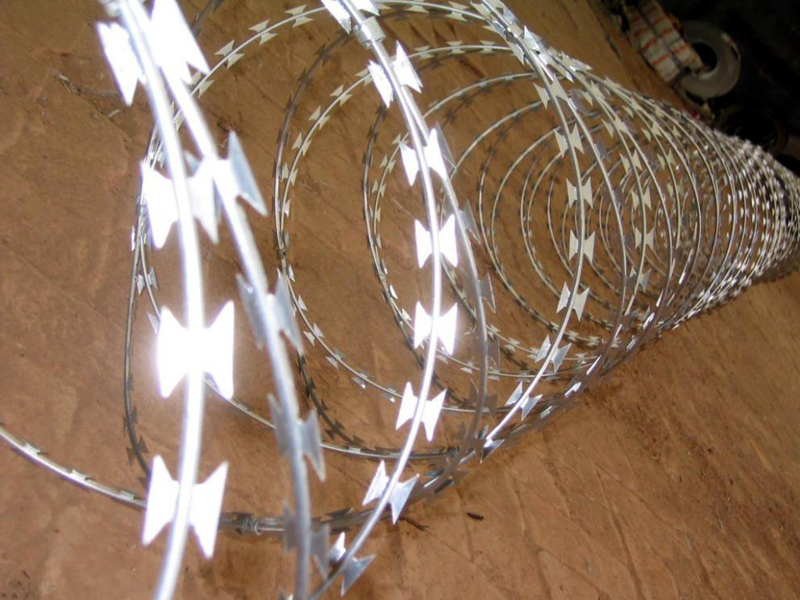 As its corrosion resistance, high level of defence, welcomed by consumers in domestic and global market.Razor Barbed Wire as a premier security materials with a efficient ability to enhance the whole mesh fence system meanwhile the gallow uncalled strange person ,make the clear countries border line ,protecting and overawe.Concertina barbed wire is the things like this compare with barbed wire its more powerful and more conditions control for you house site security .